We are looking to get our main piece of business literature re-designed. 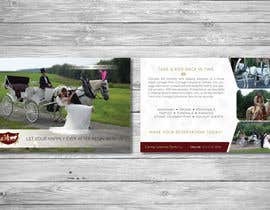 We use a standard 4x6 postcard (full front and back). 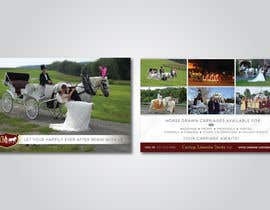 I have attached our current card, while in reality its not a bad looking card, we'd just like to try and update it (as we've had this design a number of years). 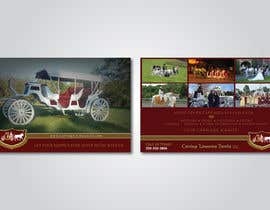 From our current card you can see our colors, logo, and general info we have on it. 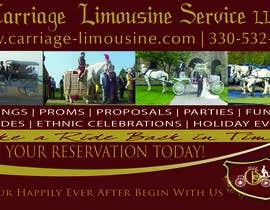 I will say we do not need to have the "Make a reservation today" (though it makes a good call to action) on there or the "take a ride back in time". Do not worry about matching the font styles/etc (some of them are one of a kind and I will not be sharing them). 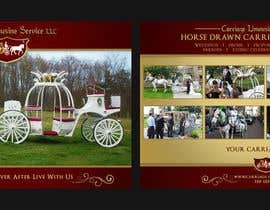 We'd like to be able to still have a number of pictures on the back and such to show some of our available options (we actually have more options but not enough room to show them). The main writing area could be condensed if needed. 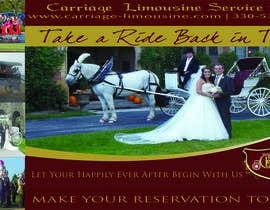 We just want the card the show off our services, basic contact info, slogan, etc. Feel free to use any pictures/info/etc from our website or social media sites (as we generally like things to be uniform and match). All designs must be original and one of a kind. We will own all rights to the winning design to use how we please. Also the final files must be in a COMPLETELY editable PSD file. One big thing with this potential job...is we might have some more work very soon. 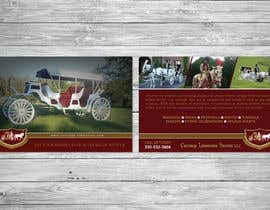 We might be doing a postcard direct mail marketing program (for another part of our business) where we might need those designed as well. Please keep your eyes on the project clarification board for various updates and info (as I will not be updating this with every single update). I think that's it, any questions let me know! UPDATE 2: One other notification to everyone there was apparently a system issue and it only setup my contest for 5 days instead of 15 days, that has now been correct by Freelancer. So it will be open until April 3rd at the latest and if needed. Thanks! Well it seems like the entries are dying down (not many new freelancers making submissions), and those who have submitted designs are not doing edits/updates as asked. So if this keeps up it looks like we will be making final cuts and a winner chosen very soon. Thanks! One other thing...for those of you who have a faded background pattern in your designs (like the leaves in #73 )...I will hopefully soon have an image you guys can use for that. 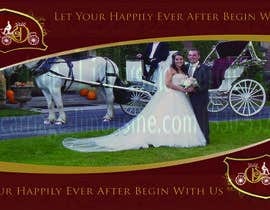 We've been using it on our carriages recently and I'm waiting for the jpg/etc to be sent to me from our decal company. So for now you can use what you wish if you have an image worked into the background like that. Once I have it I will post it for you to use. Entry #87 -THE BACK side is modified in the 2nd Visual. Ok everyone as I promised some alternative info for the back side of the cards (some of this may have been said in the initial project description but its worth repeating). 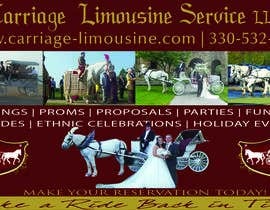 - you can leave out "make your reservation today"
- also i think ideally our company name needs to be grouped right about our website and phone number (like it is on our current card)...while I'm not against it elsewhere, I think it makes sense to our have name with our company info, and not having our contact info spread in various places on the card. - in some designs (outside of #32 ) if you put the shield logo (which is one of the attachments below the main project description) on the front of the card, you shouldn't need to put it on the back also. 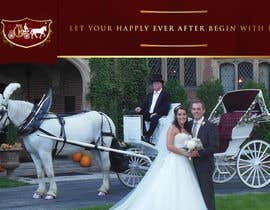 "Horse Drawn Carriages available for...."
Then list in some fancy/nice looking way the different options listed...weddings, proms, funerals, parties, proposal, parade, holiday events, ethnic celebrations, & more. 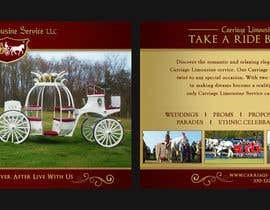 and end it with..."your carriage awaits"
Obviously by lessening the amount of text, could make it open for a couple more pictures on the back. The goal of this is to make things minimal, but also maximizing on that minimal idea. Sorry I had to post it in 2 parts, I was over the text limit. One other notification to everyone there was apparently a system issue and it only setup my contest for 5 days instead of 15 days, that has now been correct by Freelancer. So there is still another 10 days this contest can be open for (if deemed needed). Thanks! I just wanted to post this real quick before I head to bed for the night. This is especially for those who I have been communicating with quite a bit be it via comments or chat. Hopefully soon I will have alternative info/options for the back of the card, so we can possibly see some more options. Thanks and I will keep you posted! Once again I'd like to thank everyone for their work. Initially coming into this project I was thinking only about something along the same lines of what we have now, just a newer/better version. The maroon/gold/etc and similar feel/look to it. However after seeing a few designs of some of you who have thought outside the box and presented a completely new and different look, I'm starting to warm up to something completely different. Please refer to designs #29, #22, #51 and even #23. These were a few of the out of the box designs I've received that has kind of piqued my interest. I'm willing to open things up a little more (within reason) as far as what we are looking for now...so have at it. Sure. Thanks for update. I will try to make it something modern now. please re telling me of your postcard....i will try create creative postcard for your business..
Read the project description, everything is in there. Thanks! I have a PNG version handy if that will work? Hello, is it possible to get the logo in pdf?